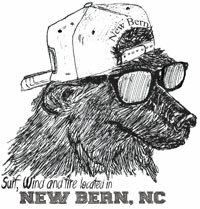 A surf inspired outdoor lifestyle store located in historic downtown New Bern. 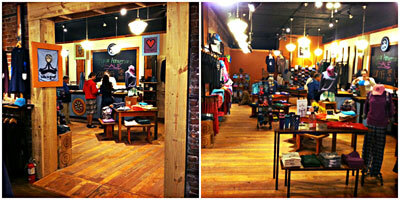 Outfitting you with Patagonia, The North Face, Prana, Sanuk, and various other outdoorsy brands and items. Hit the water with Hurricane Kayaks and Bic SUP paddleboards, or shred some pavement with Kahuna Creations, Santa Cruz, and Sector 9 longboards. Camping, backpacking, hiking....we got you covered with Merrell footwear, Osprey Backpacks, and Kelty tents and sleeping bags. Also a one-stop shop for all your Innova and Discraft disc golf needs. If you enjoy the great outdoors, you will enjoy our store! Visit the Life is good store and State Legacy Revival.,, all under one roof and each store connected. State Legacy Revival started with a hat that looks as if it has weathered on the dashboard of an old farm truck. State Legacy Revival is a clothing and accessory company with a focus on southern fashion and local New Bern manufacturing and design. It is a gathering of good folks inspired by small towns, local pride and hard working people that make up the south. Vintage fabric, great fit, and simple design is our version of southern fashion. Our goal is to create product with the purpose of reconnecting with family, community and heritage. It's about being local. Downtown New Bern on Middle Street.